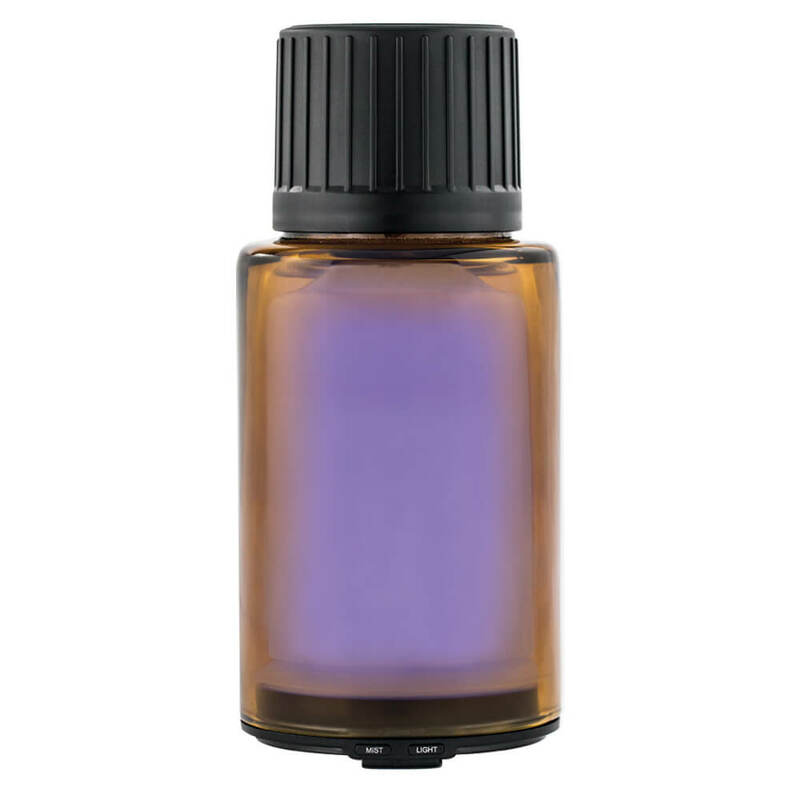 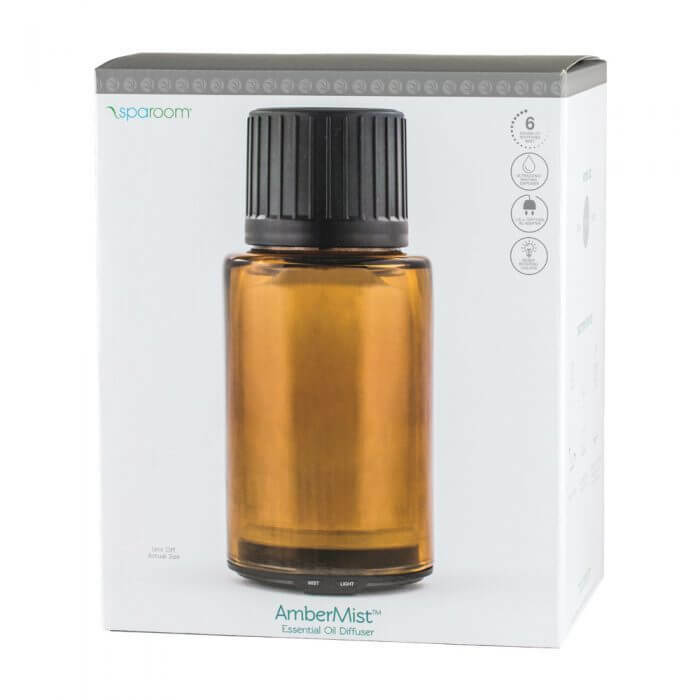 Designed after a traditional bottle of essential oil, the AmberMist Essential Oil Diffuser comes with removable decal labels to showcase the essential oil you choose to diffuse. 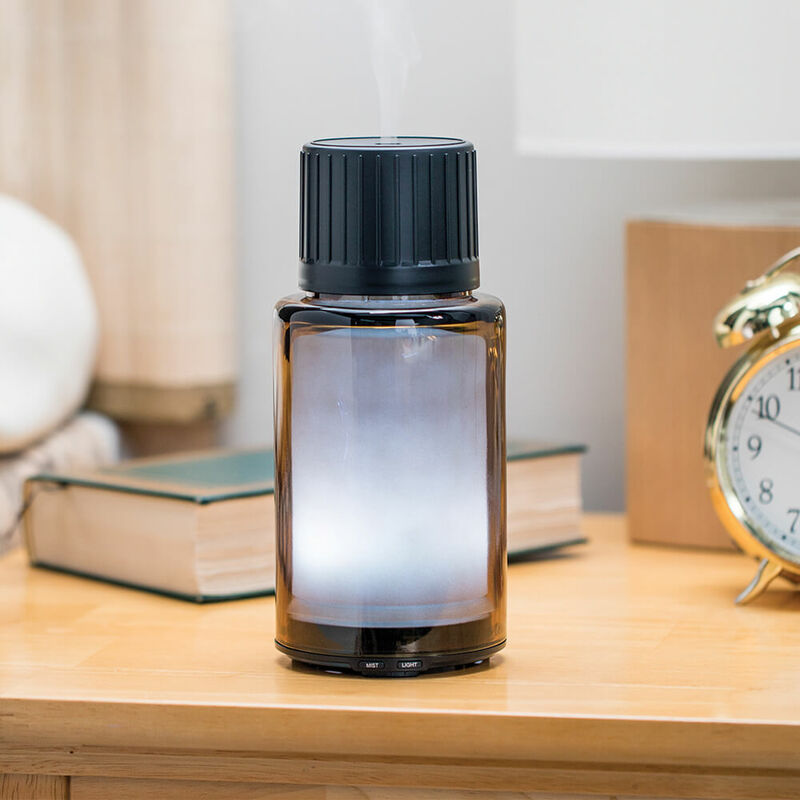 Aromatherapy enthusiasts will delight in this oversized essential oil bottle diffuser. Depending on the oil you are diffusing, simply peel off the decal and replace it with another one. 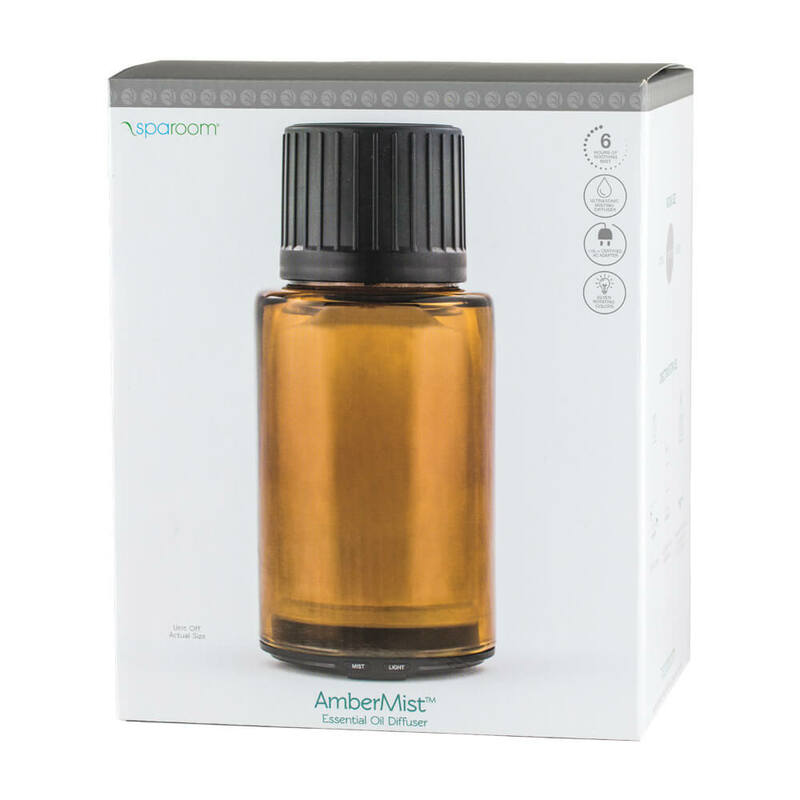 Removable labels include three customizable options.